That stage of life when we may not see eye-to-eye but we can still walk arm-in-arm." "It is good to love as many things as one can, for therein lies true strength, and those who love much, do much and accomplish much, and whatever is done with love is done well." "Whom do I call educated? First, those who control circumstances instead of being mastered by them, those who meet all occasions maturely and act in accordance with intelligent thinking, those who are honorable in all dealings, who treat good naturedly persons and things that are disagreeable, and furthermore, those who hold their pleasures under control and not be overcome by misfortune; finally those who are not spoiled by success." You immediately learn four critical things about a person from their answer. First, the magnitude of the mistake directly identifies the level that that person occupied in the decision-making process. Furthermore, since few people repeat a mistake once made, you learn the depth of experience gained by the interviewee. Finally, the elaboration in the answer reveals character traits (especially the extent to which the mistake is palmed off as someone else fault) and the extent of introspection practiced." for I have lived today."
"There is no beautifier of complexion, or form, or behavior, like the wish to scatter joy and not pain around us." "To be a champion you have to believe in yourself when nobody else will." "Consider this fine sentence: God has never put anyone in a place too small to grow. when we fill that place to the best of our abilities, personal growth is inevitable. Three things begin to happen. We do a better job of what we are doing. We expand our talents through vigorous use, and we fit ourselves for larger responsibility and wider opportunity." "Simply put: You gotta do what you gotta do, in order to get where you want to go." develop what are understood to be right habits of thought and action." "The Christian ideal has not been tried and found wanting. It has been found difficult, and left untried." "When God wants a great job done in the world or a great wrong righted, he goes about it in a very unusual way. 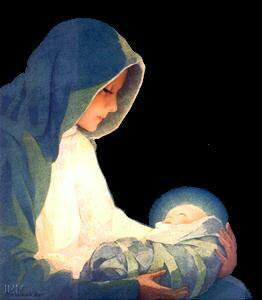 And then God puts the idea into the mothers heart, and she puts it into the babys mind. Many of us left the storied approach to life at our nursery windows and crossed the threshold into adulthood to more logical, didactic ways of making sense of this world. In a culture that is rational, scientific and abstract we have lost touch with the intuitive, imaginative and concrete dimensions which inform story. We have become unstoried in the spiritual life as well, distanced from the theophanies ever happening within and around us. We have lost the ability to probe the soul, to know and refine its experiences." "Transform yourself and youve done your part in transforming the world. You are what it takes to make a difference in the world in which we live. From our hearts spring forth our prayers. Manifest them now as concentrated thought. The gift of prayer is a power that has sustained nations and moved the world. May this gift flow from your heart and nourish the Earth. If your self-discipline were equal to your dreams, you could do just about anything." "Courage is letting go of the familiar." There comes a time when we must clean out the closets of our life so that we may have room for items that will enhance our life. Lets search the closets of our lives and make a trip to the wastebasket. Throw away any hatred that may be lurking there and be sure to toss out jealousy, bad attitudes, dishonesty, complaints, sin and hypocrisy. Before you finish, throw away that grudge youve been carrying against someone. Make room to add love, honesty, forgiveness and kindnessnot to mention thankfulness for all Gods blessings. Go on and make room for reverence and respect for God from whom all good gifts come. Stand back and look: Your lifes closet is looking better, isnt it? Take a moment today to spring clean your heart. Ask God to come in and if He finds anything else that should not be there, to take it out so that you can live holy and right! "Some people claim there is no life after death," said a disciple. "Do they now?" replied the Master. "Wouldnt it be awful to die, said the disciple, "and never again see or hear or love or move?" "You find that awful?" the Master inquired. "But thats how most people are even before they die."